Wealth Preservation Solutions provides comprehensive, multigenerational wealth management to high net worth business owners, families and professionals. We have one simple mission: To help our clients accumulate wealth and preserve it for themselves and future generations. We take pride in the strong, solid relationships we have with our clients. We listen. As your financial partner, we stand by your side, advising and monitoring your plan to ensure that your plan stays on track as time passes and situations change. This is key to long-term financial success. It all begins with our proprietary Candid Snapshot, which is provided at no cost and with no strings attached. We follow a six-step planning process. We begin by spending time with you to develop a thorough understanding of your objectives and exactly what you want to accomplish. Our Candid Snapshot will provide a complete overview of your total wealth management plan. This can include a review of your Estate, Business Succession, Investment, Retirement, Insurance and Benefits plans, as your individual situation requires. We complete a systematic analysis of your current, relevant documents and develop a financial model that presents an objective overview of exactly how your current plan works. 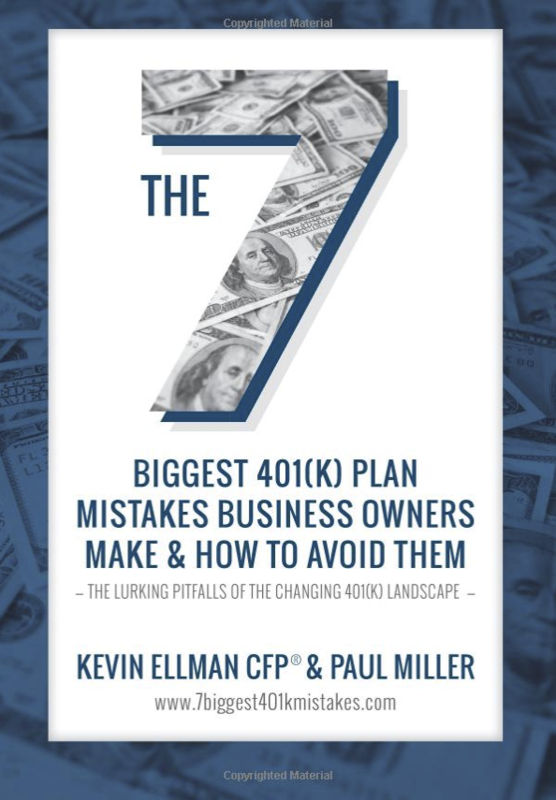 We call this, “The Candid Snapshot.” Its purpose is to provide an assessment of whether or not your plan will accomplish your wealth management objectives, with a particular focus on the plan’s strengths and weaknesses. 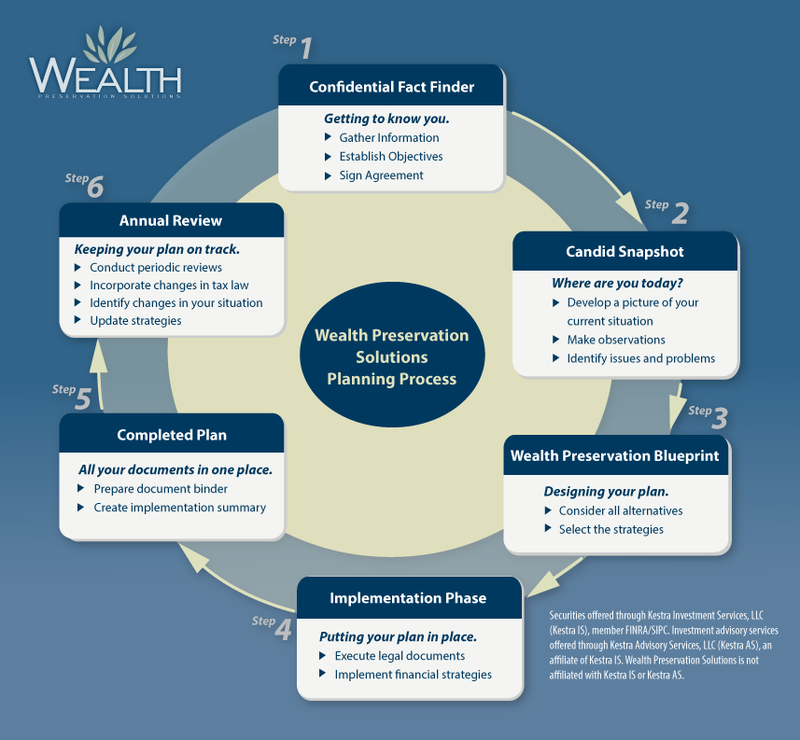 Engage Wealth Preservation Solutions to optimize your Wealth Management Plan. Again, The Candid Snapshot is provided at no cost and with no strings attached. You are completely free to use this report in any way you see fit. We have designed The Candid Snapshot in such a way that if you are considering a new advisor, this process should give you ample first hand, face to face experience with the way we operate and who we are. You will then be able to make an informed decision about whether we are or are not the right financial advisor for you. If you decide to proceed with our firm, we will outline all costs, fees and commitments associated with our engagement. Once engaged, we begin developing the Wealth Preservation Blueprint, which will address the deficiencies in your current situation and review alternatives for optimizing your overall multi-generational plan. The ultimate goal is to design a comprehensive, wealth management program that focuses on wealth maximization, asset protection and tax reduction opportunities. Once all parties have agreed to the plan, we move on to the Implementation Phase. We work closely with your accountant, attorney and other advisors to ensure your plan is FULLY implemented and documented, so that all of your wealth management goals are accomplished. Upon completion of the Implementation Phase, we present a finished “Plan Binder” to you with all documents related to your plan in one convenient location. It will serve as a critical and valuable resource, for as situations arise, family members will know to “go to the binder” to determine the best course of action and whom to contact. The sixth and final step, Keeping Your Plan on Track, is one of the most important. We have found, over the years, that once most people have an initial plan, they put it in a drawer and forget about it. Unfortunately, this can diminish your overall plan’s effectiveness. We know that the future brings with it a lot of change: Laws change, families grow and change, businesses evolve and financial profiles change over time. A plan must be updated on a regular basis in order to retain its tax benefits and wealth creation and protection features. Our firm has developed a highly effective Plan Review Process to ensure that your plan stays on track over time and continues to offer the intended wealth creation and preservation benefits for you and your family.